Affordable, desirable, attractive – these are not words you would usually associate with a kit designed to counter childhood diarrhoea in developing countries. Yet this is what UK charity ColaLife has managed, through listening to customers and a focus packaging – with the help of Amcor Flexibles.The ‘Kit Yamoyo’ design benefits have now won over the Zambian Ministry of Health – who have placed the first major public sector order for 452,000 kits, to distribute in some of the remotest, highest risk areas of the country. Distribution of the first 30,000 kits is now underway, manufactured locally in Zambia, in an adaptation of the award-winning Kit Yamoyo design which has been adapted to conform to the government’s branding and requirements. Today, ColaLife’s partners Keepers Zambia Foundation (KZF) and Medical Stores Ltd (MSL) signed an agreement for distribution. This is an excellent achievement and a major boost for the new product, which contains the established global recommendation for treating diarrhoea with Oral Rehydration Salts (ORS) and zinc. 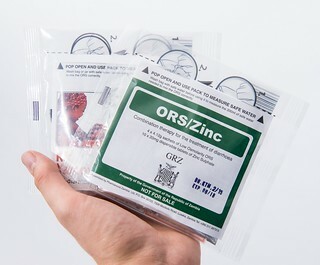 In a customer-friendly design breakthrough, the lightweight Flexi-pack offers a measure for the water required to make up each of the four 200ml sachet of ORS packed within it – vital in rural Africa where households rarely have measuring utensils. 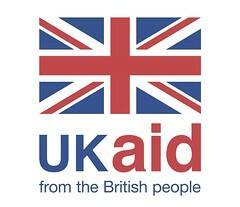 The UK’s Department for International Development is now co-funding a 2.5 year market development programme, to establish Kit Yamoyo in the private and public sector in the capital, Lusaka, beginning in October 2015, as well as a sister project in remote rural areas. This will continue the mission to stop young children dying unnecessarily from easy-to-treat illnesses like diarrhoea. 6) ColaLife does not take any profit from the designs and Intellectual Property it creates, but offers these as ‘Open Source’ to any corporates, health agencies or NGOs who can use the learning to save children’s lives in developing countries. 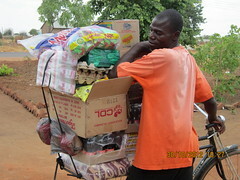 The charity works to influence manufacturers, governments and international agencies to ensure more appropriate, easy to use and customer-friendly designs are widely available in Zambia as well as other countries. 7) ColaLife’s local manufacturing partner in Zambia is Pharmanova. 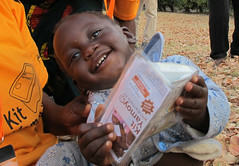 The charity is also supported by and working with Johnson & Johnson/Janssen and GSK. NGO partners include Keepers Zambia Foundation. Medical Stores Ltd is the government parastatal for distribution.